Google has downplayed privacy fears after it was revealed that its Street View cars had been harvesting data from private wi-fi networks. The search giant's boss said that he hoped no one would be prosecuted. Eric Schmidt said that there was "no, harm, no foul", after the firm admitted that it had been collecting snippets of web activity from people's wi-fi. A US group has called for a Federal "probe", whilst European countries are considering taking action. "Who was harmed? Name the person," Mr Schmidt said at the company's annual Zeitgeist conference in Watford, UK. He admitted the incident had done more harm to the firm's reputation than any single person. In addition, he said, it was "highly unlikely" that any of the collected information was "useful" and that there appeared to "have been no use of that data"
"No one has taken it, done anything with it. It has not been given to anyone," he said. Google co-founder Larry Page said that it was important to distinguish between "worry versus harm" when it came to privacy online. Last week, the search firm openly admitted that it had collected information people had sent over unencrypted wi-fi networks for the last three years. The company was forced to make the admission after German authorities asked to audit data gathered by the firm's Street View cars, which gather pictures around the world for use on Google maps. In a blog post, Google said that the problem had been traced to 2006 when "an engineer working on an experimental wi-fi project wrote a piece of code that sampled all categories of publicly broadcast wi-fi data". Its inclusion in the street view cars was a "mistake" it said and had not been authorised. But Mr Schmidt said he did not want to use the firm's "engineers as an excuse". "They work for us," he said. "If it is authorised then there is a reason for them to be doing it. If it is unauthorised, it is not authorised." He said that the firm would not say whether the engineers responsible had left the company for "numerous legal reasons". "We have very high attention on this matter internally," he said. The firm's actions are under increasing scrutiny around the world. A spokesperson for the Information Commissioner's Office in the UK said that Google had been responsible for the "unnecessary and excessive collection and storage of personal data". It said it took the matter "seriously" but would not take any action on the matter. Its German counterpart has asked to see the data before it proceeds. "Google's data should be deleted only once they have been subject to a review, so that we get a picture which additional data were captured," a spokesperson for the country's National Information Commissioner told BBC News. The Financial Times has reported that German prosecutors and the Czech data protection agency have launched investigations into the issue. In the US, advocacy group the Consumer Watchdog has written to the Federal Trade Commission urging it to investigate Google. "Google has demonstrated a history of pushing the envelope and then apologising when its overreach is discovered," said John M Simpson, of the group. "Given its recent record of privacy abuses, there is absolutely no reason to trust anything the Internet giant claims about its data collection policies." Google has asked a third party to review the software that caused the problem and examine the gathered data. But the Consumer Watchdog said this would be like " getting to pick and pay the referees in a championship basketball game". 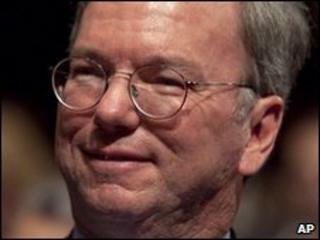 "The Commission must determine what Google knew and when Google knew it. We urge you to launch an investigation immediately," it said in a letter. Google said it was contacting authorities in the 30 countries where it has Street View to determine what must be done with the data. "We're not going to delete it unless we're ordered to," said Mr Schmidt.